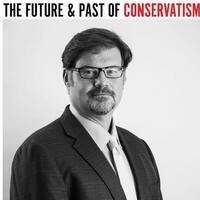 On March 6th, National Review Senior Editor Jonah Goldberg is coming to UT to give a lecture titled "The Past and Future of Conservatism." Goldberg will speak about the evolution of the conservative movement, the changes it endured during the Bush years, and the effects the Trump presidency will have on the ideology. He will seek to predict what the future of conservatism will look like and answer an interesting political question: would conservatism’s failure necessarily mean liberalism’s success? Jonah Goldberg is a prominent political analyst and bestselling author of two New York Times best-selling books, including "Liberal Fascism: The Secret History of the American Left from Mussolini to the Politics of Meaning." In addition to his editorial role at the National Review, he is a nationally syndicated political columnist and Fox News Contributor. The Atlantic Magazine has named him one of the Top 50 political commentators in the country. This event is designated as a Becker Seminar through the Chancellors Honors Program. The event is free to opted-in students (no tickets necessary) and $5 for opted-out students and members of the public. Tickets can be purchased using the below link at knoxvilletickets.com or with cash, check, or Volcard at the door. If you have any questions, or need to arrange disability accommodations, please contact the Center for Student Engagement at (865) 974-5455. This event is funded in part by the Student Programming Allocation Committee (SPAC). Free to opted-in students (no tickets necessary), $5 for opted-out students and members of the public. Tickets can be purchased with cash, check, or vol card at the door or using the link below.